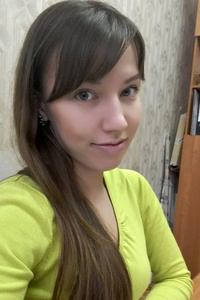 Meet Amazing Girl Olya from Yoshkar-ola, Russia, 25 y.o. I look for the man who careful, kind, will be for me and my son a reliable wall and a support who doesn't drink, doesn't raise a hand against women. For such man I promise to create a cosiness in the house, to be a good wife and the hostess. It is a little about me. If that I begin that always I finish. I don't believe in love with social networks at all, but after all I have decided to try. I want to love and be a darling!